The main attraction of the sports evening will be the session with ex-footballer, Chris Sutton, who will also be joined on stage by comedian John Stiles, son of England legend, Nobby Stiles – guess there’ll be plenty of stories there. Sutton, a former Norwich, Blackburn, Chelsea and Celtic striker, gained his only England cap in a fleeting appearance on 15 November 1997, coming on with ten minutes to go against Cameroon – he won the Premier League with Blackburn in 1995 and enjoyed a trophy-laden spell at Celtic winning the Scottish Premier League (4), Scottish Cup (3), Scottish League Cup (1) and was part of the side that were runners-up in the UEFA Cup in 2003, playing in the final as the Bhoys lost 3-2 to Portuguese side, Porto in Seville. 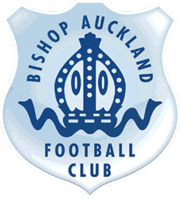 Bishops chairman, Steve Coulthard, said: “The BAFC Presentation/Sports Night is something we are trying for the first time, and in a large, 300 seater marquee. “We have been lucky enough to secure the services of ex-Premier League winner and TV/Radio pundit, Chris Sutton, along with comedian John Stiles, the son of the legendary Nobby Stiles. 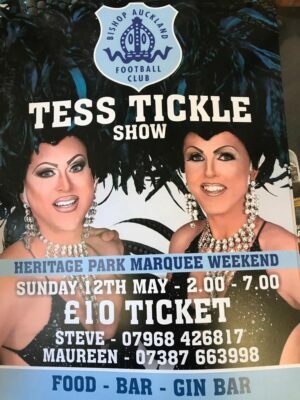 Two days later, on May 12, the Two Blues will host ‘Tess Tickle,’ also in the marquee, on what is set to be a great marquee weekend for all involved. Steve adding: “This is going to be a fantastic afternoon of entertainment in the marquee and if anyone has seen their shows, they are truly spectacular. 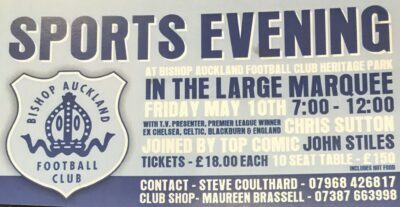 The sports evening takes place on Friday 10 May from 7 till late, tickets are on sale now priced at £18 or £150 for a table of ten (latter includes hot food) whilst tickets for Tess Tickle on the afternoon/evening of Sunday 12 May from 2-7pm are priced at £10, both can be purchased from the club shop via Maureen on 07387663998.